Borderlands 2 is a hybrid First-Person Shooter, RPG game focused on over-the-top co-op play, and set in the open-world game environment of the planet Pandora. 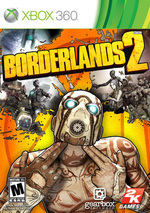 The second game in the game series, Borderlands 2 raises the 'loot and shoot' action of the original game with an even larger and more detailed world to explore, an updated gun system, a new cast of characters and character classes, and integration of storyline with action. Whatever minor speedbumps the game has, however, are easily dismissed when faced with the core package; it's simply fun as hell to run around gunning up Pandora. The deliberate, constructed continuation of what made the first Borderlands such a sensation is never hard to spot in its sequel, even if actual innovation almost exclusively takes a backseat to tradition. Everything that was great about the original Borderlands has been amplified and improved to make Borderlands 2 more focused, more satisfying, and utterly hilarious. Whether you're playing alone or with friends, the brash outlandish attitude will keep a smile on your face, and as soon as you're done, you'll want to instantly start another character and do it all again. With its unmatched co-op gameplay, intense shootouts, addictive loot collecting, expansive skill customization, hilarious dialogue, and insane level of replayability, Borderlands 2 is one of the most rewarding gaming experiences of this console generation. Co-op and excellent writing make Borderlands 2 worth checking out, but it can't escape occasional bouts of fatigue and repetition. It creaks somewhat under the pressure of needing to be more without the lightning-in-a-bottle newness that propped Borderlands up. The shooting still lags behind other first-person frontrunners, and combat too often feels like an afterthought in Borderlands 2's enormous world. 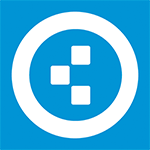 It's often mired in the design problems of the genres it borrows from. It may feel like a bit of a slog to get there, and you'll want to sort out exactly who's hosting that game between you and your online friends very early on. However, with a well-balanced squad, there are few more pleasing experiences than taking down a gigantic robot constructor through four unique skillsets. 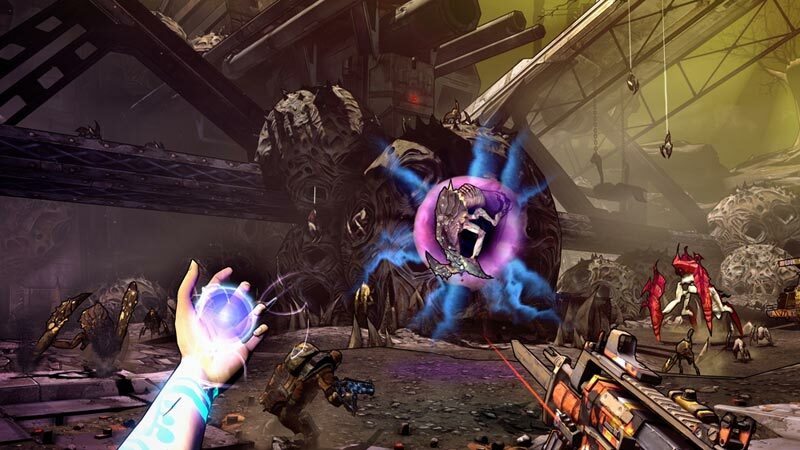 If you like to shoot, and you dig collecting loot, Borderlands 2 has enough to scratch your itch for some time to come. 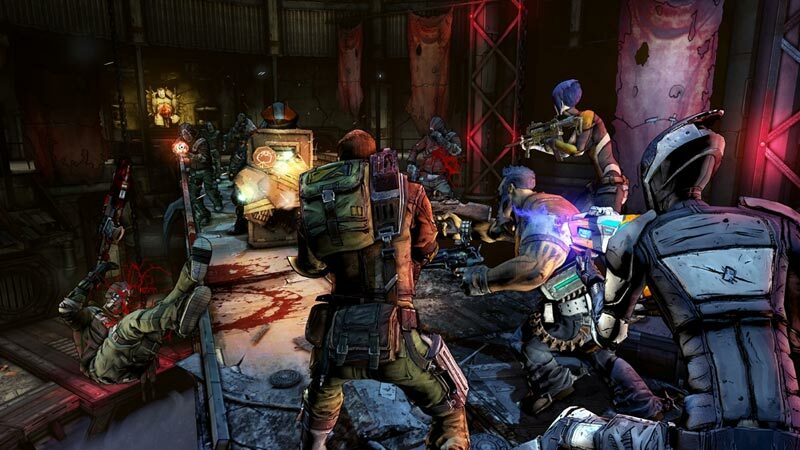 The gameplay improvements made to Borderlands 2 make it a more fun cooperative experience than before. The enhanced storyline is more rewarding for the single player audience as well. 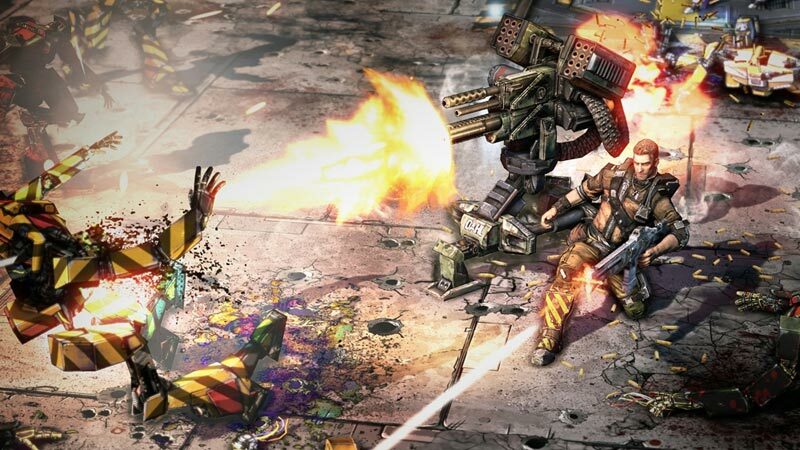 The combination of the two make for an exponentially better game than Gearbox's first effort. Additions, refinements, and fixes all combine to create an appreciably improved experience, one that fully delivers on the promise of the first game. 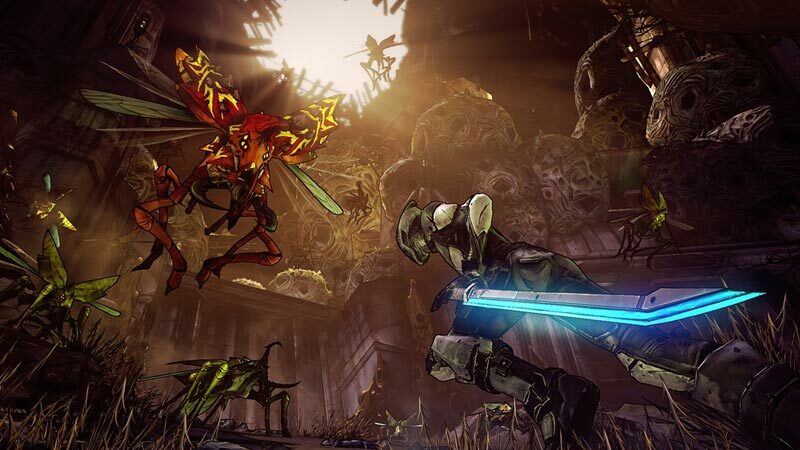 While Borderlands felt empty at times, this sequel is bursting with content and brimming with life, making it an absolutely delightful way to spend hours and hours and hours of your free time. Borderlands 2 is full of memorable moments and silly, crass folks – and if those silly, crass folks happen to be your friends, it's easily one of the best co-op experiences out there, and one of the best games I've played all year. Borderlands 2 is one heck of a game. The improvements are many, the narrative is well written and told, and the game’s characters are voiced by some great voice actors. Add to this the addictive nature of searching for loot and ability to play the game’s story and sidequests with friends online, and you have all the elements of an excellent game. Borderlands 2 preserves the best parts of the franchise while also making numerous, much needed improvements to areas like narrative and class skill design. Additional visual customization options would make it better, and the occasional technical issue takes away from the experience, but overall this is an excellent shooter no one even remotely curious should overlook. Prepare to level. Prepare to loot. Prepare to get lost in the hilarious, bizarre and wonderful world of Pandora. Borderlands 2 is a better game in most of the ways that matter, but some of that is brought down by the familiarity of the experience. Perhaps some of that is on me and spending a couple hundred hours with the first game has rendered me resilient to some of the new game's charms, but as someone who went into Borderlands 2 with a sickness that I thought only more Borderlands could cure, I'm left feeling like I didn't receive a full dose this time around. Borderlands 2 is a gorgeous and insanely fun FPS-RPG with a whole bunch of content for people who welcome its stay. Its unique looting system and tons of items will keep players busy for hours, trying to find the best gear. 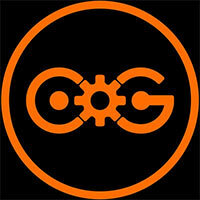 Whilst the game is still great if playing single-player, the most fun is had in the co-operative mode. For those who are fans of RPGs or even those who want to try something different, this game is definitely worth checking out -- it is simply awesome! It’s the additions then, of enhanced customisations, greater player-rewards, more loot, more enemies and enemy-types, animated zones and NPCs, a much more vibrant visual delivery (it’s a stunning game, really), a more tangible (and dislikeable bad-guy), a greater story and more challenge, overall, that makes this not just one of the year’s best releases, but a benchmark for the action-RPG world. Inspired, exaggerated characters. Handsome Jack is one of the finest villains in gaming. Narrative is long, and engrossing. A great sense of humour throughout, and a unique presentation. 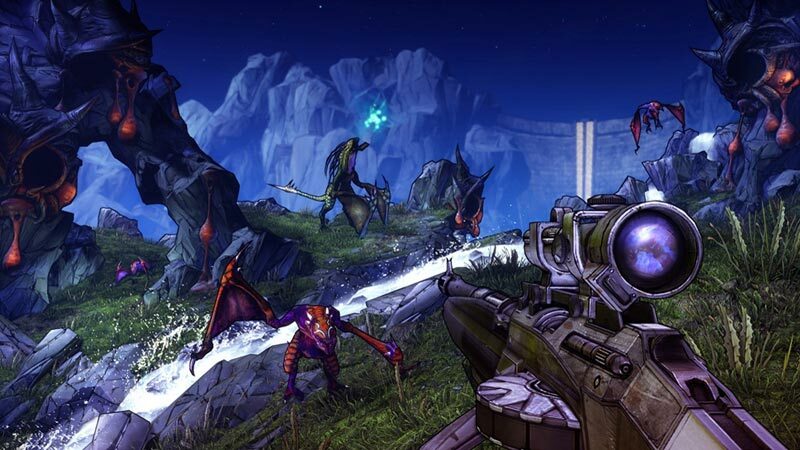 Sci-fi looter-shooter Borderlands 2 is vastly superior to the original. It elaborates on nearly everything we loved about Borderlands without losing sight of what made the game such a hit. Borderlands 2 cumple sobradamente con su papel de mejorar a la muy interesante primera parte, y logra un lanzamiento todavía más redondo. Una experiencia notable en solitario pero verdaderamente sobresaliente en un cooperativo on-line que se cuenta entre los más divertidos de los últimos tiempos. Sencillo, sin complicaciones y cargado de adrenalina: si te gustan los shooters con trabajo en equipo, el de GearBox es tu juego. Borderlands 2 es un shooter-RPG ­híbrido sobresaliente, una fórmula que casa a la perfección aunando elementos de uno y otro género, sin sacrificar ni profundidad ni agilidad en los disparos, y basado en un sobresaliente mundo, la tierra de Pandora. Se trata de una secuela que mejora lo visto en la primera parte, afinando la fórmula que se ganó un notable alto en 2009, y convirtiéndose en un producto selecto que se sale del sota-caballo-rey del género. Assez frileux en termes d'innovations, Borderlands 2 n'aura cependant aucun mal à convaincre le public averti auquel il se destine. Bien réalisé, fluide, dynamique et absolument jubilatoire à plusieurs, ce titre irrévérencieux constitue actuellement un défouloir de premier choix dans la catégorie assez formatée des FPS contemporains. Vu son potentiel de rejouabilité et les nombreux DLC qui ne manqueront pas de débarquer dans les prochains mois, on n'est pas prêt de le lâcher. Plus varié, plus drôle, plus agréable et toujours aussi défoulant, Borderlands 2 s'impose comme un incontournable de cette rentrée 2012. Si le jeu n'en gardait pas sous le coude en vue des nombreux contenus téléchargeables déjà prévus, ce serait encore mieux... Mais ne boudons pas notre plaisir, le fun est bel et bien au rendez-vous ! Het is jammer dat het verhaal nog steeds abracadabra is en helaas is de game niet helemaal gericht op offline splitscreen. Toch mag het duidelijk zijn dat Borderlands 2 een zeer interessante game is geworden, ongetwijfeld een van de meest sfeervolle games van dit jaar. Voor 60 euro krijg je veel terug: actie, diversiteit en het verslavende element dat loot heet.